Our HLD9 is a modular hearing loop driver designed for large area applications such as theatres, conference facilities, sports arenas, concert halls and auditoriums. 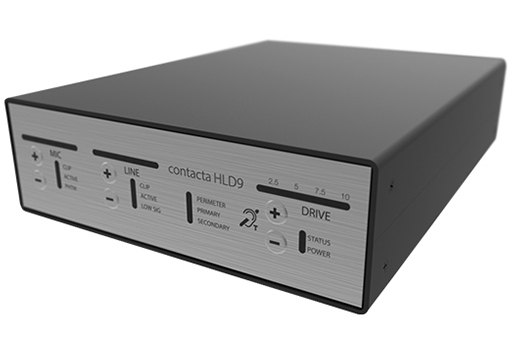 A single HLD9 is used for perimeter configurations, while two HLD9s linked together provide phased array configurations. As a Class-D driver, it uses power extremely efficiently, meaning that it emits very little heat. To make the experience of using it as simple as possible, the driver includes sophisticated communications capabilities enabling remote set-up and control of levels as well as system interrogation and performance monitoring.